I can tell you what you do — you google it! I bought a Stila shadow/blush set when I was in CA. The big shimmery powder was cracked when I opened it. I couldn't take it back because I left town too early the next day. I didn't love the broken shimmery powder enough to re-press it. I also didn't like the cream blush that came in the set. I do, however, like this set because it is a great size to travel with. 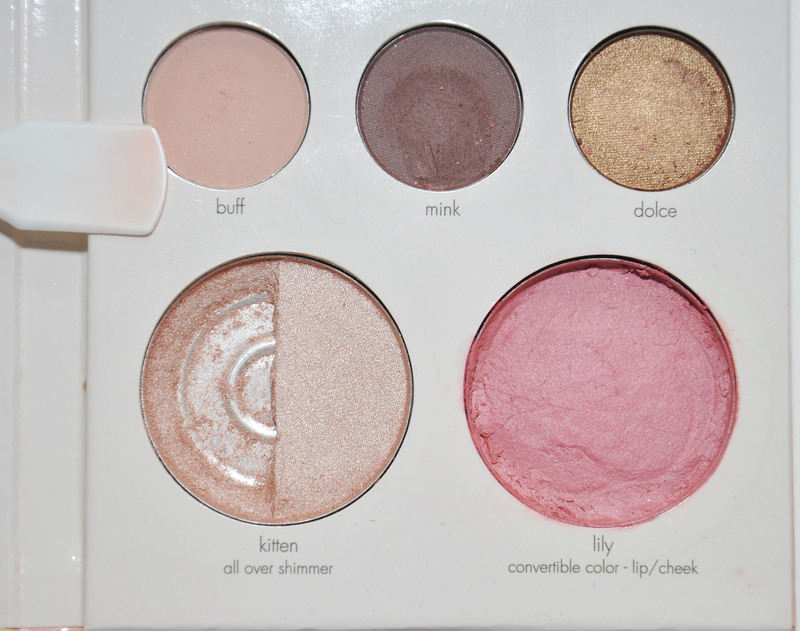 I decided to replace the blush with a Bare Minerals powder blush. 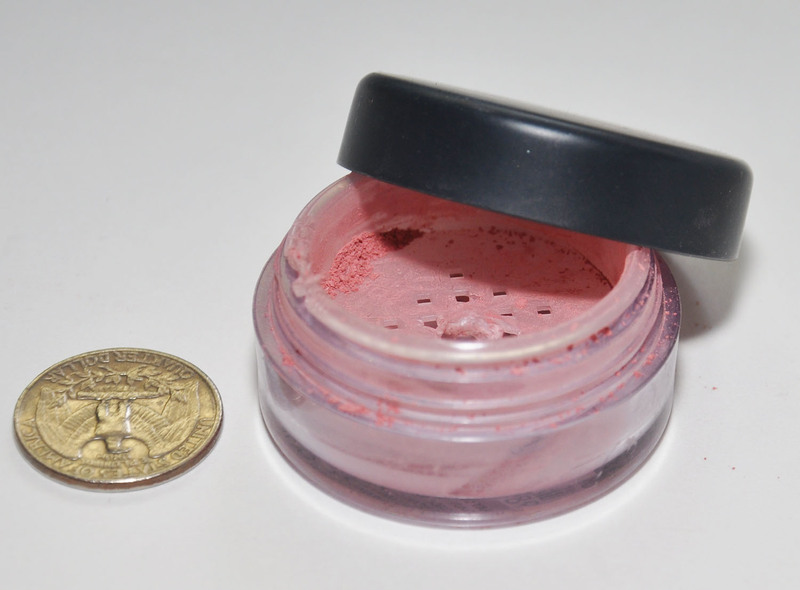 I scooped out the cream blush and cleaned the tin it had been in. I assembled the tools as instructed and pressed the powder into the tin in the set. 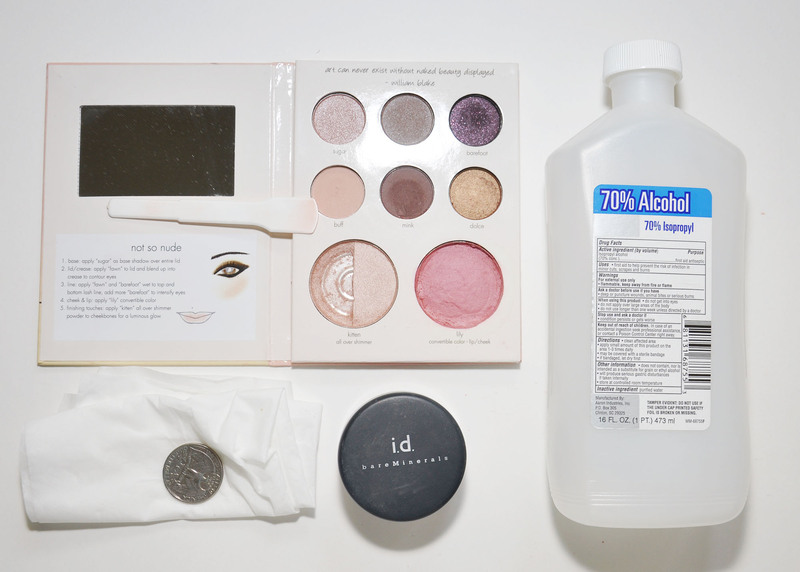 I have always thought that the Bare Minerals containers had a lot of powder in them. Not so much! Loose powder takes up a lot more space than pressed powder does. Really, I should not have been as surprised by this as I was. If/when the broken shimmery powder falls out I'm going to replace it with something that suits me a little better. Isn't this a nice thing to know how to do?! Thank you for sharing! What a great tip to know! The truncated header on the video is pretty funny, actually — “How to fix your broken/cracked eyes…” LOL, wouldn’t THAT be something?